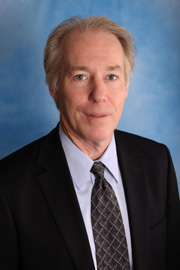 Kevin Fox is one of the premier personal injury lawyers in New York State. He has recovered millions of dollars for people who have been injured through the wrongful conduct of others in car crashes, construction site accidents and defective products. Mr. Fox has been litigating personal injury and medical malpractice cases for over 25 years. He holds the record for the highest verdict ever obtained for an individual client in the State of New York: $212 Million Dollars. He is known as an innovator in the use of courtroom technology and incorporates modern, scientific, approaches to jury persuasion. He has lectured on topics including, overcoming jury bias, persuasion in the courtroom, focus group research and trial technology. Mr. Fox began his legal career as an Assistant District Attorney with the Suffolk County District Attorney’s Office, concentrating on the prosecution of serious felony cases.